Since 2006 Jane Dixon has been working on a project entitled Regeneration through which she has explored the street plans of four cities which have been devastated through war or earthquake and subsequently rebuilt: Berlin, Chicago, Yokohama and Tokyo. 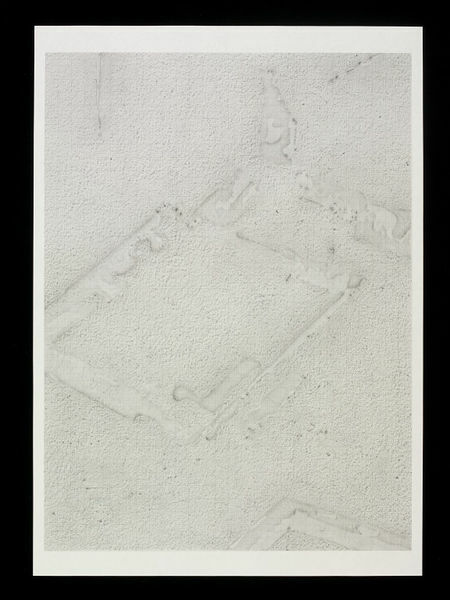 Her working process involves three stages: first she takes a photograph of part of her chosen city from the top of a high building; next she makes a copy of the photograph in thickly impastoed acrylic paint; finally she places a thin sheet of graph paper over this textured painting and makes a rubbing of it in pencil. The acrylic painting is then discarded. Further detail is sometimes added to the drawing through taking a rubbing from the texture of a roughly plastered wall. This process of making the drawings is as important as their subject and is deliberately paradoxical: on the one hand it gives an extreme refinement to the drawings, setting them at a double remove from the contemporary reality of their city-subject, and on the other it confers a direct and tangible connection with existing buildings. The graph paper on which the drawings are made echoes the theme of process, with its inherent suggestion of architectural plans. However, the completed drawings are actually more reminiscent of aerial photographs of archaeological sites, in that they appear to show the footprints of long-abandoned structures even when they are mostly based on images of thriving modern cities. They are meditations on the destruction and rebuilding of particular sites, and more broadly on the city as a palimpsest; the viewer is drawn to re-imagine the outlined forms in the drawings as buildings - or building sites - or bomb sites. Dixon's theme of the temporality of structures reflects the time she has spent in Japan, where a reverence for ephemeral objects and buildings is expressed in the national culture. 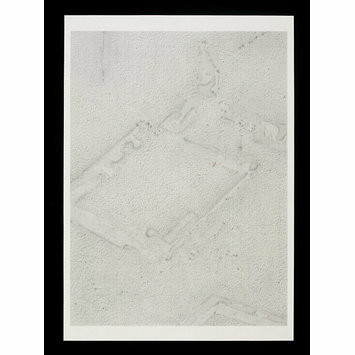 The pair of drawings 'Site Edit VII' is from a series of diptychs forming one strand of Dixon's Regeneration project. Adding a further layer of subtlety to her complex creative process, these pairings are intended to suggest 'before' and 'after' photographs. One of the drawings was made in the way described above; the other resulted from a further artistic intervention in which the acrylic painting was crushed and broken up (serving as a metaphor for the alteration of the buildings themselves). This gives the second rubbing an altered (though still recognisable) set of contours and a slightly different overall texture. However, the idea of 'before' and 'after' remains ambiguous. Does the second drawing express a turn for better or worse, creation or destruction? In Dixon's own words, the 'Site Edit' diptychs 'refer to the idea of making a work from a fixed temporal standpoint, whilst reflecting on knowledge of past destruction at the same time as imagining a possible changed future.' The resulting drawings are complex and thought-provoking works of art which resonate with historical associations. Purchased from the artist, 2011. Drawing, graphite, diptych (right), 'Site Edit VII', Jane Dixon, 2009.